Gwinnett County is 437 square miles in size and has a population of over 800,000 people. Gwinnett County is rich in cultural and economic diversity and serves as a gateway for consumer traffic in a global economy. According to the Gwinnett Chamber of Commerce, Gwinnett County is one of the fastest growing counties in the country over the past twenty years. The Chamber of Commerce also reports that 80% of the US population is only a two hour flight away. Nedless to say Gwinnett County is a very influential place to live. This is why RE-CHRIST feels its vision is very important to the health and longevity of the community. The vision of our organization is to identify an area in the community and start developing relationships in hopes of making disciples of the Lord Jesus Christ. We look to bridge cultural and economic barriers through God's love as we provide encouragement, life skills, and networks of people to acheive a greater since of community. We have built a reproduicble model that teaches others how to engage the needs of the community and serve one another cross culturally. 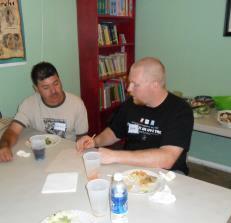 RE-CHRIST mentors 75-100 students each week during the school year. We also provide 40-50 adult servant-volunteers opportunity for community service each week through our after shcool programs. In addition to our ongoing weekly opportuities for servant-volunteers, we have provide thousands of "weekend warrior servant-volunteers" the opportunity to become involved in the community through one of our speacial events. RE-CHRIST host family events throughout the year for the residents living in the local apartment communities it serves. Since 2007 RE-CHRIST has given tens of thousands of dollars away to meet benevolent needs in the community. 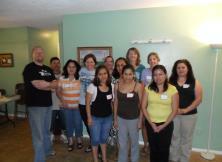 Currently RE-CHRIST has ongoing relationships with two local apartment communities in Norcross. In 2014 RE-CHRIST continued to expand its hands of love to Duluth. This will be the third strategic sight RE-CHRIST has started since founding the organization in 2007. We have managed to do all of this with a single paid person and the support of hundreds of servant-volunteers. It is amazing to witness what can be accomplished when people decide to love one another and build up their community. In our efforts to be defenders of our neighbors we speak truth in love. Since 2007 we have wintessed 84 people in Gwinnett County, and another 163 people world wide, encounter the love of God through a personal relationship with Jesus Christ. We have started after school programs, English classes, summer lunch programs, a community 5K race, and a discipleship model that allows its after school program students to grow and become mentors themselves. Each passing year we realzie how God is preparing us to make good of our ministry motto; "Dare to attempt something so big if God is not in it you will fail." RE-CHRIST is continually reevaluating its ministry methods, making it stronger, and more focused. We are a small non-profit with a big heart. Connecting people and families to God, and to each other, is what we do. 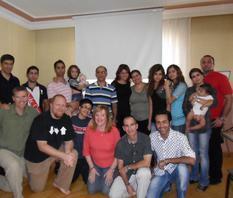 The essence of the Christian life is characterized by learning to do life together as a community.